With Mars the focus of so much exciting space research these days, scientists must be chomping at the bit to get their hands on some of those dusty red rocks that until now we’ve only been able to view via images beamed back to Earth. In April, we learned that NASA and the European Space Agency (ESA) had teamed up on a project to do just that — retrieve samples from the red planet and return them to Earth for the first time. This week the bold plan took a major step forward when the ESA granted Airbus a $5.3 million contract to design a concept vehicle capable of retrieving Martian samples that will have already been collected by the Mars 2020 rover. The vehicle would then load them aboard an ascent vehicle that will put the samples into orbit before being brought to Earth in a separate spacecraft. If it sounds like a fiendishly challenging project, then you’re right. It is. The so-called “fetch” rover will be built by Airbus at its site in Stevenage, England, just north of London. “One rover bound for Mars in 2020 is already under construction by Airbus in Stevenage and the knowledge and expertise honed there will now be applied to designing this new mission, which aims to safely deliver – for the first time – material to Earth from another planet,” said British science minister Sam Gyimah. Assuming the complex project proceeds smoothly, the team behind the fetch rover aims to send it on its way in 2026. The Mars 2020 rover will drill for and scoop up soil samples of interest, transfer them in small containers, and place them at pick-up points. Six years later, an ascent vehicle will land on Mars, together with the fetch rover. 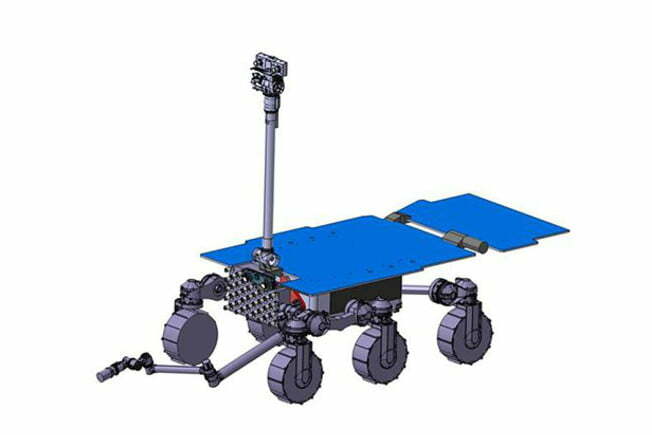 The rover will collect the canisters and bring them back to the ascent vehicle. The ascent vehicle will then depart Mars and rendezvous with an orbiter that will return to Earth with the samples. Scientists say the samples could provide answers to questions about whether there was ever life on Mars and hopefully take our understanding of the planet to a whole new level. How did this Lamborghini Huracan end up 'parked' beneath a Honda Civic?